Lola's Lake/Boating system: Nothing like testing your sea legs by taking a boat around Le Bistro Estates. 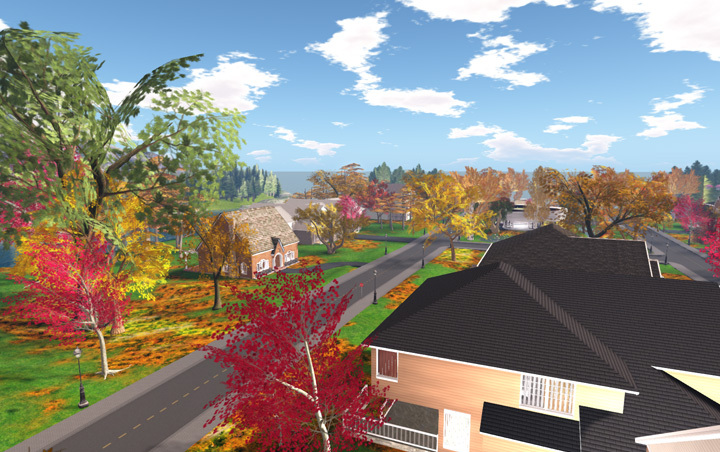 Whether you're showing off our fair sim to visitors or playing tourist for the day, taking to the water is a great way to see breathtaking views your home and enjoying a peaceful retreat away from land. Community Pool: Ready for a dip? Pool party? Kids want to take a swim too? Pool is heated during the winter so feel free to come on down anytime. Lockers and changing rooms are available for you before you take a dip in the pool. Live entertainment can and will be provided for you here as well. Kids don't forget your floaties! 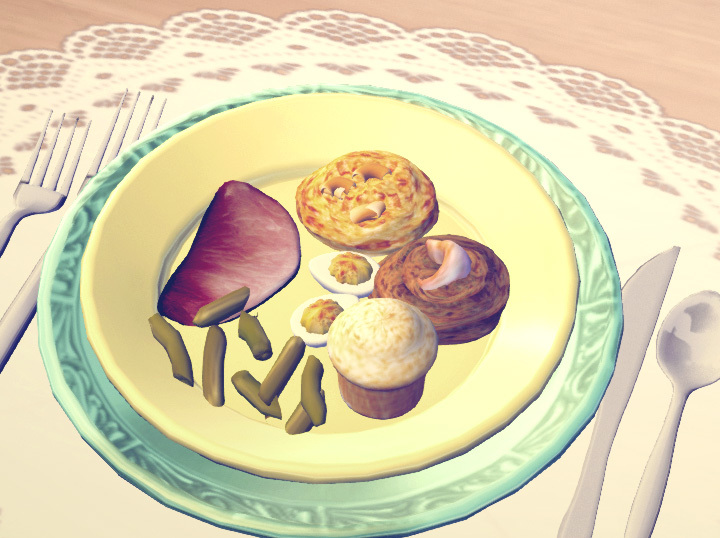 Shamera's Lounge: Time to wine and dine! Open to you as a resident anytime -- come on down and bring the family or loved one over for a classy time. Perfect place for date night. The Le Bistro Ultimate Tables come equipped with food for any meal of the day accessible to you at the lounge. We also will provide open mic nights and live singing here for your pleasurable entertainment. Lake Victoria: Calm waters and a gorgeous sunset sits on this lake. 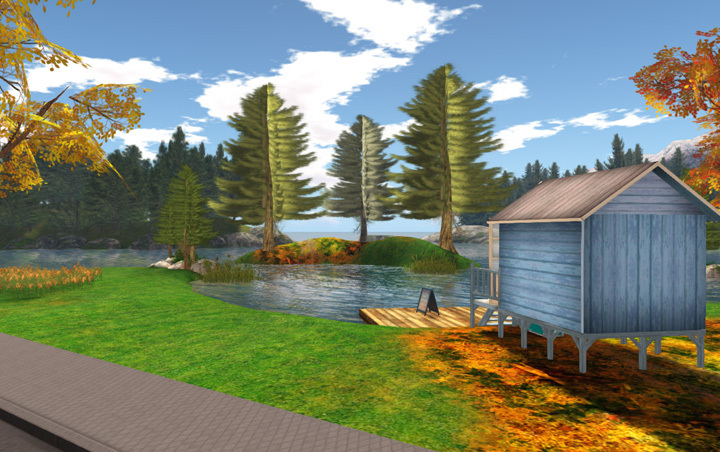 Grab your fishing rods and bait and come catch a live one! Allow for the calmness of the waters to add to your pleasure, relaxation, and comfort. - Get your paper!!! Do not forget to grab your newspaper from your doorstep every Sunday. The newspaper boy will be on his bike delivering it so feel free to shout him a hello! 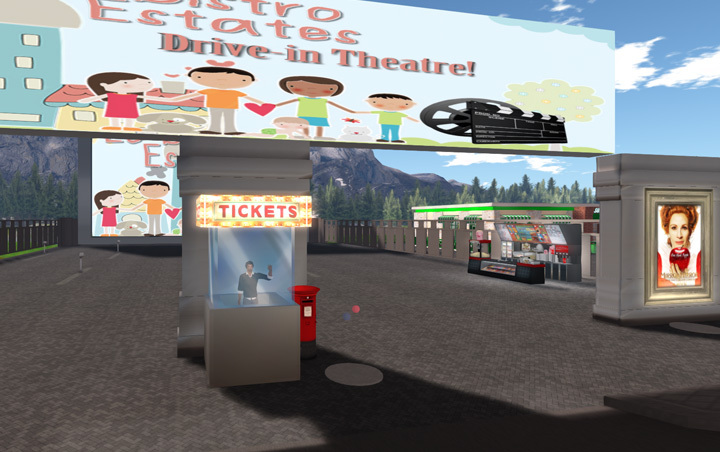 Very important to read in order to keep up to date with community events and coupons for Le Bistro products and much more. - Trash Thursday: Every Thursday the garbageman is coming around to collect the trash! Place it properly on the curb or else your house will be stinky for the rest of the week! Trash really can overflow! - Fitness Friday: Strap those shoelaces on tight! Our neighbors enjoy feeling fit and refreshed. We may run around the neighborhood, participate in some calming Yoga or really feel a burn from an intense workout at the park! Either way get ready to burnnnnnn it off! - Townhouse meeting: If needed, every month a date will be set aside for community meetings to discuss any and all concerns as well as collaborative efforts to make OUR community more fulfilling and desirable. - Seasonal decorations: Expect the unexpected! 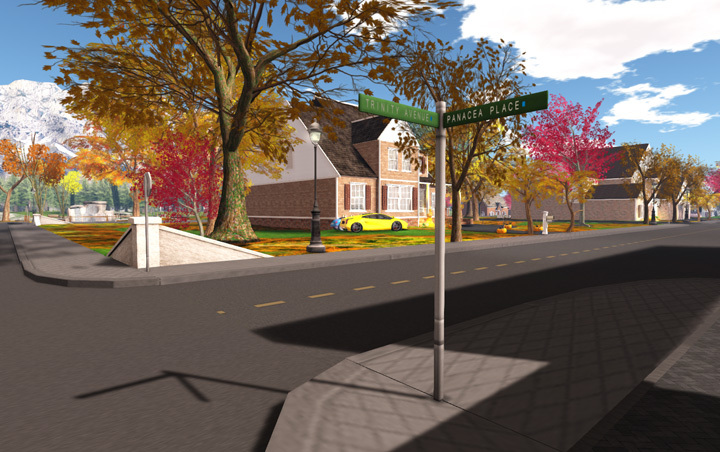 We will be updating the look of the sim every season and holidays will definitely be full of events for your pleasure. Come visit us and feel like home! 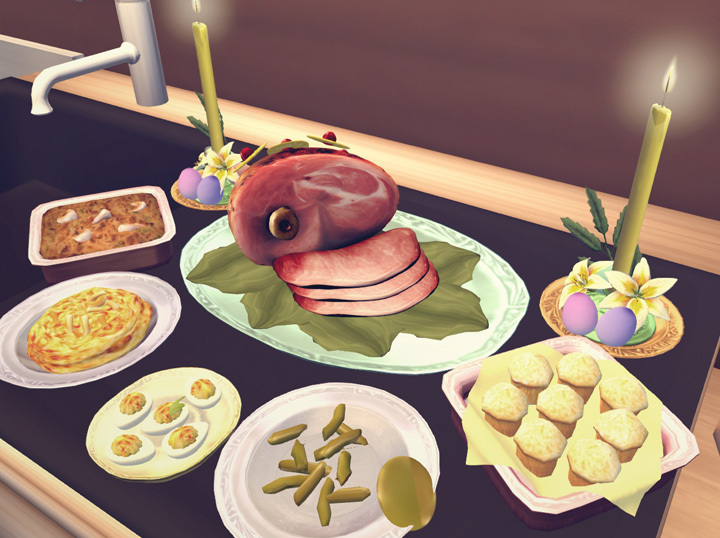 We are so glad we can say we are the first in so many things in the scheme of Second Life Cooking! 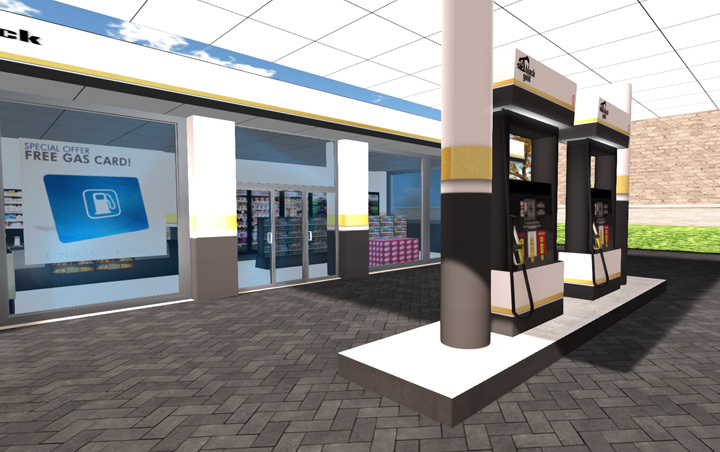 Take a look at the videos below to see what we have been up to! 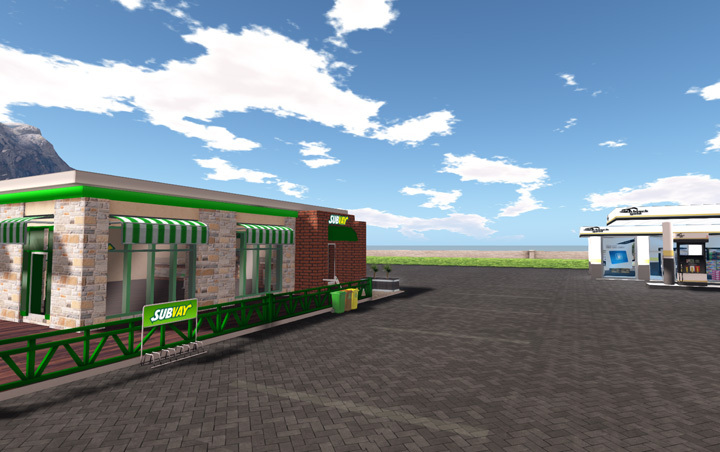 Le Bistro Releases The First Ever Bakeable Cakes In SL! 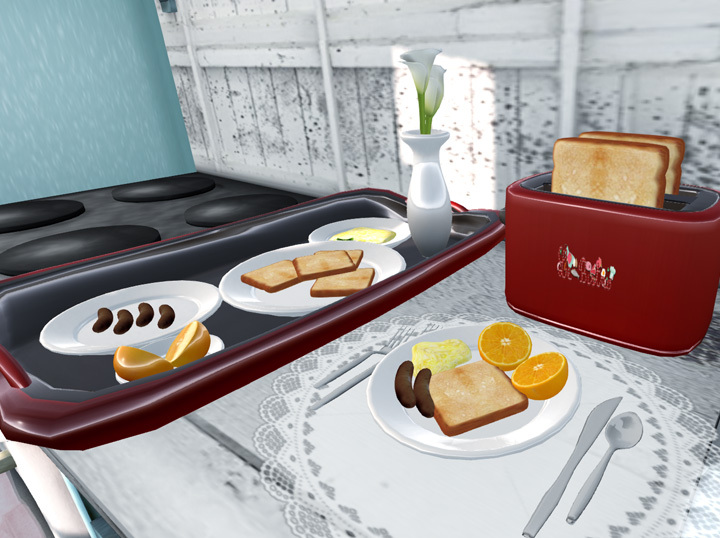 Le Bistro Releases The First Ever Cookable Meals In SL! 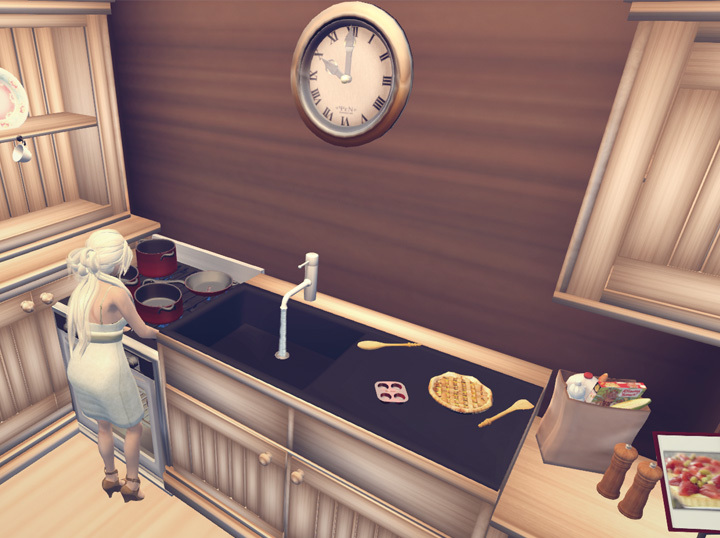 Le Bistro Releases The Most Interactive Kitchen In SL! 1) Rez your pots and pans on your stove! 2) Place your tray on a nearby table. 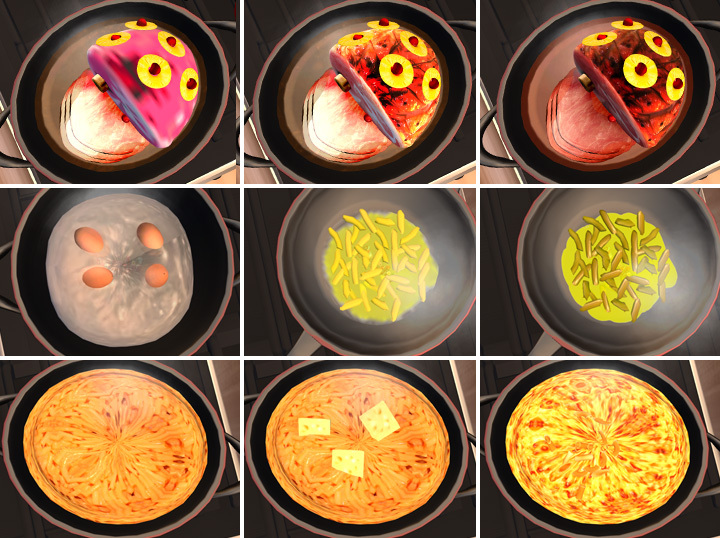 4) Wait til the pots and pans emote four times then click to send th efood to the tray. 5) You and your guest touch the vase to have your plate and fork given to you, or to serve to the placemat, touch the tray and choose to send to the meal to one place mat or all placemats. If you chose to send one to each placemat at a time touch the tray and choose serve one, then the placemat you want the meal to be served to. 7) To reset your tray simply touch the tray and choose reset! If you forget your food in the stove, it will burn!! 1) Wear the mixer and the bowl. 2) Touch the mixer to turn it on. 3) Once the bowl is fully mixed touch the bowl. 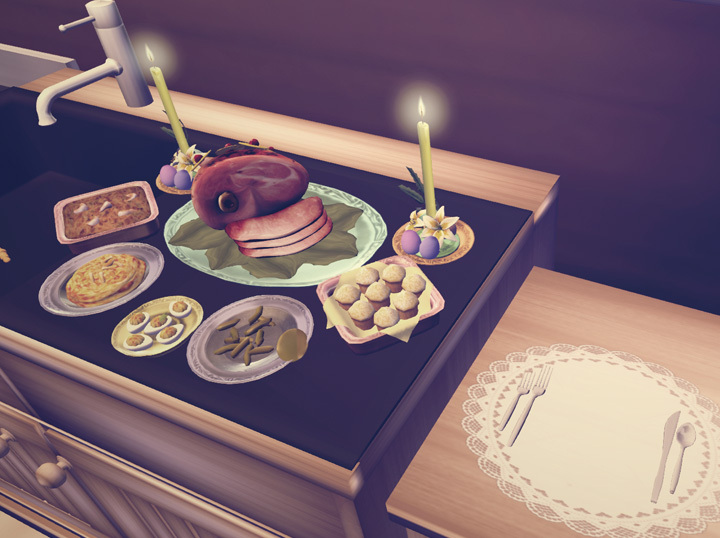 4) The cookies appear on your tray, you can then move your tray to your oven if you desire or leave it on the table. 5) Cookies will began to bake. 6) When cookies are fully baked touch twice to decorate. 7) When all the cookies are done touch the tray to grab one they will disappear!! 8) Rez the plate then touch the bowls of treats to decorate your Kidney Awareness Cookie! 9) When you are done decorating the plate to have your cookie sent to you ! 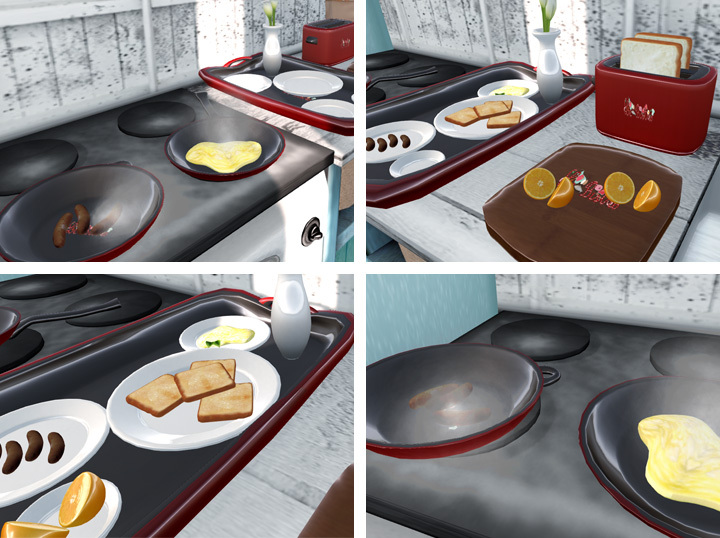 4) Wait until the pots and pans emote four times then click to send the food to the tray. 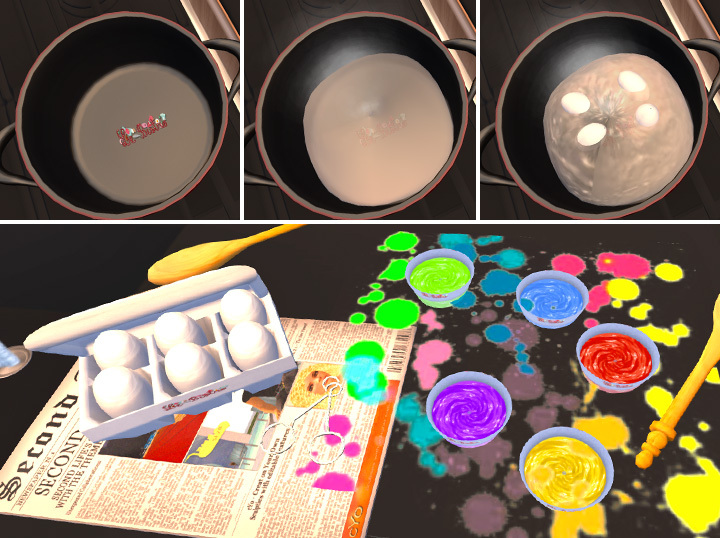 5) Touch newspaper to get the egg dipper! 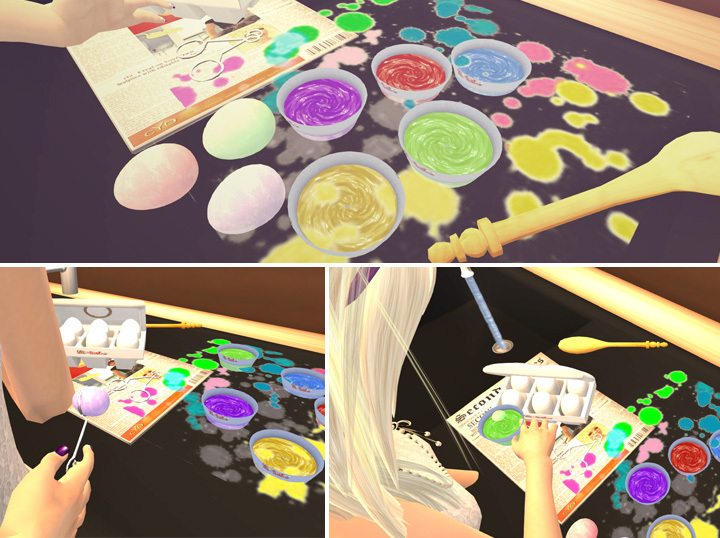 6) Then touch the color you want to dye the egg to to start dying it! Once your egg is all dyed it will be sent to you to keep forever! !